Samsung has confirmed that it will introduce 5G smartphones in 2019. This may be the smartphone that has the fastest Internet access speed next year. Samsung and Verizon have partnered to release 5G smartphones in the first half of next year. At the same time, Qualcomm is considered an important hardware partner of Samsung because they supplie the 5G Snapdragon X50 modem, which is expected to arrive in 2019. In August, Samsung introduced the first 3GPP (3rd Generation Partnership Project) 3GPP Exynos Modem 5100 – the first 5G modem. This modem is manufactured on a 10 nm process, with a maximum download speed of 2 Gb / s on sub-6 GHz and 6 Gb / s on the mmWave band, 1.7 and 5 times higher than the chip. previous generation modem. When used with 4G networks, the speed of Exynos Modem 5100 is still stable at 1.6 Gb / s.
Samsung has confirmed that the Exynos 5100 modem will be available by the end of 2018. So, it is likely that the Galaxy S10 and Note10 will be available with 5G internet next year. Meanwhile, Apple is considered one of the companies that support the 5G network on their final models. Previously, 4G smartphone was launched in 2010 but in 2012 “new apple” equipped with 4G technology on the iPhone 5. So, most likely Apple will be equipped with 5G technology on the iPhone model in 2020. Many people said that Apple does not want users to complain about the limitations of the modem or lack of coverage in the early stages. 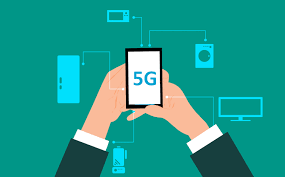 According to a report by the CTIA (International Wireless Technology Association), China is the leading country ready for the deployment of 5G technology. Second place is Korea and third place is America. Telecom service providers around the world are in the sprint to reach the 5G network. Therefore, it is worth waiting to see what Samsung will give us next year. However, we sure that it will make a heavy storm in the mobile phone segmentation.